We just finished our conversation with @IDEM_in_English 🙂 My students were interested to discover that they are at a boarding school in Montpellier. We tweeted in French and @freddav’s students tweeted back in English. 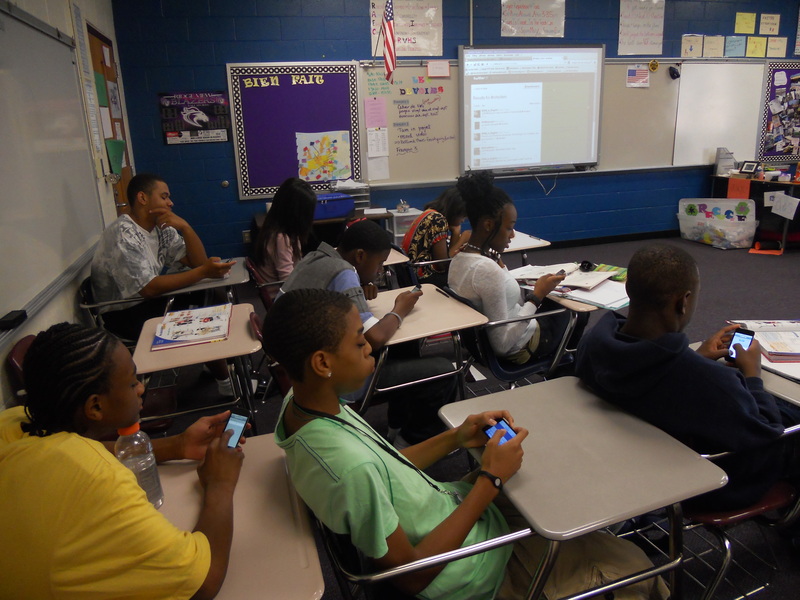 *I moderated student tweets using our class account (@rvhfrancais1) and the hashtag #rvhsidem. *I displayed the twitter feed on my computer connected to the smartboard so that students could see what was being tweeted. *My students used the class set of iPod touches to submit their tweets to me using this form. *Their responses showed up in a nice, organized spreadsheet. *Using my second computer (not connected to the smartboard), I copied and pasted their tweets with their name and the hashtag into twitter. This worked really well and allowed my students to take ownership of their tweets (they loved it when the French students responded directly to them). I was able to add their tweets quickly and I didn’t have to do a lot of typing. If i noticed that students were making mistakes, I talked to them about it. If we they wanted to respond to a tweet but didn’t know how to in French, I helped them find the words. We did tweet some in English since they’ve only been learning French for 5 weeks. *Before the conversation started, I set up a Twapper Keeper so that our hashtag was archived. This will be helpful in the future so that we can go back and see what happened in our first conversation! Great job! I am so happy it worked for you! Looks like a lot of learning going on! What a great concept to help the students with their French.